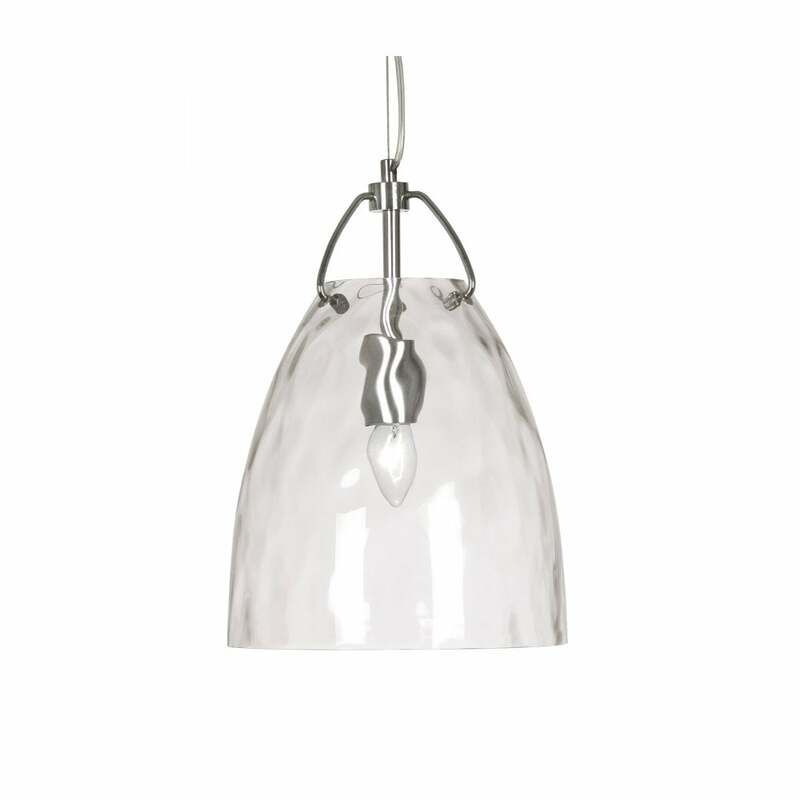 Oaks Lighting Lugo single light ceiling pendant features a circular ceiling plate with clear cable holding a dome shaped clear glass shade with mottled effect and polished chrome detailing. This product code is 1403 SM CL. The elegant design is a perfect choice for both modern or traditional decors within your home and looks great hung individually or in groups, the mottled effect in the glass shades adds an interesting look.